Contact listing agents Angi Varland 605-645-7989 or Heath Gran 605-209-2052 with Great Peaks Realty. Lead home with several recent updates and an ideal location in town with off-street parking, a level location, and easy access to local schools, Mickelson Trail, and outdoor activities. 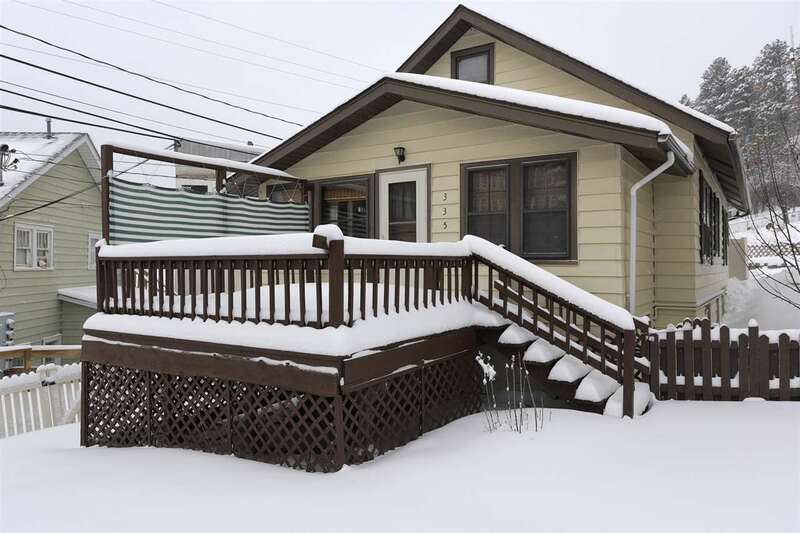 The home includes 2 bedrooms & 1 bath on the main floor, and a lower level with 3rd bedroom & additional bathroom that could be used as an apartment with separate entrance. The main floor offers an open layout with hardwood flooring, a tiled bathroom with step-in shower, newer fixtures, and a tiled laundry. The lower level has a 2nd kitchen with new lower cabinets & countertops, and 2nd laundry space. The lower level can be accessed easily thru the home, or thru the separate entrance. Upstairs, the home has an easily accessible space that you could finish as a bonus room or bedroom.